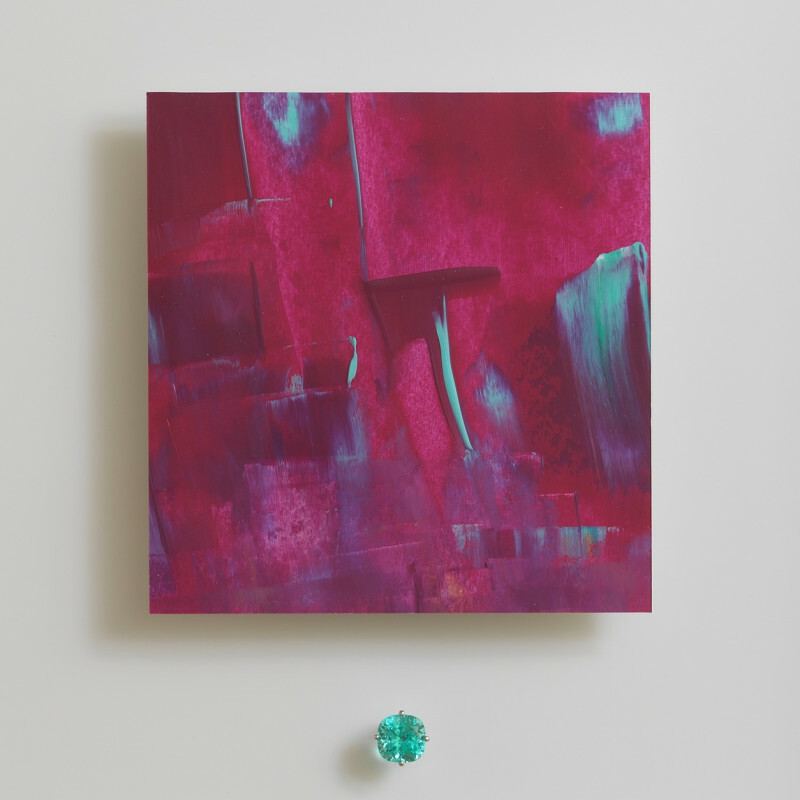 Gem Art Fusion is a unique collaboration between Lisa Sharpe and Swiss gemmologist & jewellery designer, Doris Hangartner to match an original painting with its resonating gem stone to create perfect synergy. Together, painting and stone create a visual and sensory experience to become greater than the sum of their individual parts. All works are framed in bespoke hand waxed gesso frames by John Jones Framing, London. Each painting is archival mounted on aluminum and floated on a matching gesso board. All Gem Art Fusion artworks are presented in bespoke handmade presentation cases.